QUESNEL, FRÉDÉRIC-AUGUSTE, politician, lawyer, and businessman; b. 4 Feb. 1785 at Montreal, son of Joseph Quesnel*, musician and poet, and Marie-Josephte Deslandes; d. 28 July 1866 at Montreal. 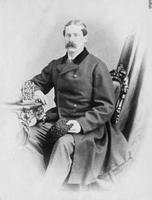 Frédéric-Auguste Quesnel’s family was prominent in the social and political life of Quebec for nearly a century. His father became a leading figure of Boucherville, then a centre of French society. Of Joseph’s 13 children, Frédéric-Auguste, or Auguste as he called himself, and Jules-Maurice* achieved success in politics and commerce; Joseph-Timoléon was involved in the 1837 Rebellion; a sister Mélanie married successively Joseph-Michel Coursol, a fur-trader, and Côme-Séraphin Cherrier*, a leading Montreal advocate and cousin of Louis-Joseph Papineau*. Frédéric-Auguste Quesnel was raised at Montreal by his mother’s step-father, a fur-trader named Maurice-Régis Blondeau*. Like his brothers he was educated by the Sulpicians at the Collège de Montréal from 1796 to 1803. Frédéric-Auguste was noted for the purity of the French he learned there, but, unlike his fellow pupil, Louis-Joseph Papineau, he probably imbibed also the conservative principles that were apparent in other graduates. He studied law in the office of Stephen Sewell*, a future solicitor general. By the time he was admitted to the bar in 1807, Quesnel could speak English with the same facility as French. He practised as an attorney at Montreal and by 1819 had offices on Rue Notre-Dame. In this period he laid the basis of his fortune, in the fur trade, with which his brother Jules-Maurice was deeply involved, and in various speculations that included land sales. When war broke out in 1812 he was already a captain in the 5th battalion of Montreal militia, which became the Chasseurs canadiens in 1814; in 1830 he was promoted major in the 4th battalion of Montreal. Meanwhile Quesnel had entered the Legislative Assembly, representing Kent County (renamed Chambly in 1829) from 1820 to 1834. It was a two-member riding, and his co-members were first Denis-Benjamin Viger and then Louis-Michel Viger*. 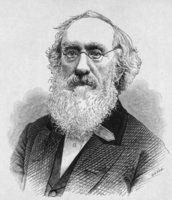 Quesnel, who was an elegant speaker, in the early years supported the Papineau and Denis-Benjamin Viger group. In 1822 he signed the petition against the bill which would have reunited Upper and Lower Canada and in 1823 spoke at the farewell dinner before Papineau left for England with John Neilson* to fight successfully against the bill. In the 1820s Quesnel held many minor government positions: he was commissioner in 1821 for the commune of Boucherville, in 1829 to assist the judges of the King’s Bench at Montreal, and in 1830 to erect a jail. He also appeared in 1830 on the board appointed to erect churches and parsonages at Montreal. 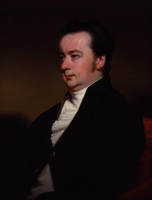 During the 1829–30 session of the legislature he headed a committee to review the judicial system, which recommended a court of appeal and circuit courts. The measure passed the assembly, but was defeated in the Legislative Council. In 1831 he became a kc. 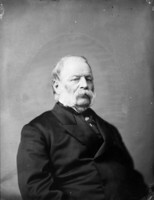 A moderate in politics, Quesnel found himself in increasing difficulties as Papineau became more radical. In 1832 he took the constitutionally correct position that Dominique Mondelet’s seat in the house should not be declared vacant on his appointment to the Executive Council, an issue on which his side was defeated 32 to 27. The next year he, John Neilson, Augustin Cuvillier*, and other moderates refused to back a resolution in favour of an elected upper house. In January 1834 Quesnel was one of the minority who clashed with the radicals over the speech from the throne. The final break came over the 92 Resolutions. 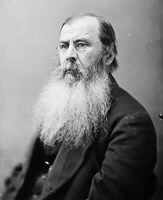 As he stated: “to say in a few words what I think of them, I approve a great many, I reject several, but taken as a whole and as a single unit, I cannot approve them.” Other moderates, such as Cuvillier and Neilson, took the same stand, and Neilson attempted, without success, to introduce more moderate resolutions, which Quesnel backed. Both men were condemned at a public meeting at Saint-Athanase-d’Iberville (Iberville, Que.). In the ensuing elections Louis Lacoste*, with Papineau’s backing, ousted Quesnel at Chambly. Neilson, Cuvillier, and other moderates also disappeared from the legislature. 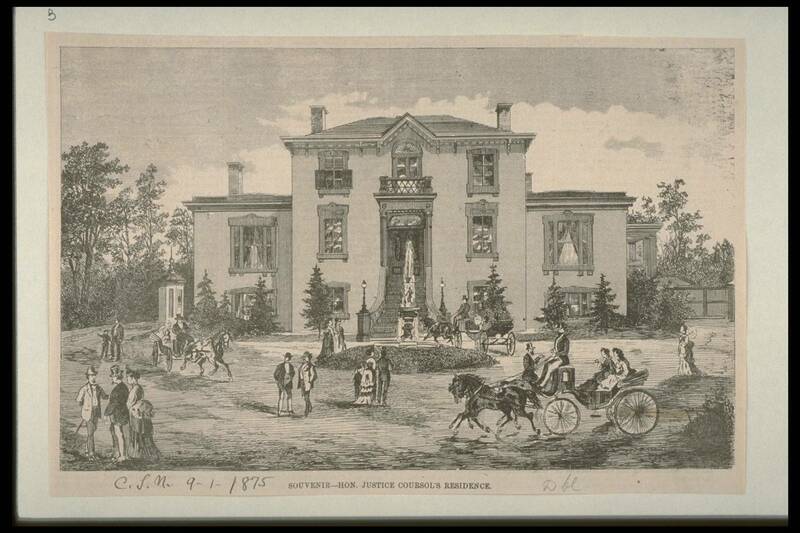 Quesnel’s political activity was not over, for in 1836 he was elected to the board regulating the affairs of the newly created Montreal Normal School, with both Catholics and Protestants voting. 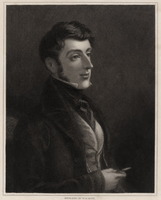 Since Papineau and Dr Edmund Bailey O’Callaghan* were also elected, the contest had political overtones. At the same time Quesnel was helping to secure various contested seigneurial rights of the Séminaire de Saint-Sulpice. Petitions to successive governors, which he played a leading role in formulating, led to confirmation of most of the Sulpicians’ claims in 1840. Meanwhile, as the political situation worsened in 1837, Quesnel, George Moffatt, and Clément-Charles Sabrevois de Bleury arranged a public meeting in support of the government on 6 July. 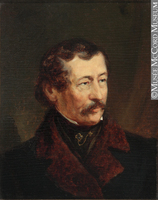 In September Governor Lord Gosford [Acheson*] appointed Quesnel to the Executive Council. When the rebellion broke out, Quesnel’s brother, Joseph-Timoléon, was forced to flee to Montreal from his medical practice at L’Acadie and had to give up his magistrate’s commission. By this time Frédéric-Auguste was condemned as a vendu by the Patriotes. 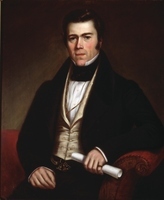 He had not lost his authority however: in March 1840, at the head of a delegation of 300, he presented Governor Charles Edward Poulett Thomson* with a petition of 6,370 signatories opposing the union of Upper and Lower Canada. In 1841 Quesnel was elected mla for Montmorency County, without a contest, on an anti-union platform. 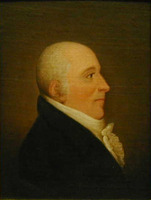 Thomson (now Lord Sydenham) listed him as one of the members who consistently opposed his policy. In the legislature Quesnel supported Neilson and Robert Baldwin* in protesting the union, and later Louis-Hippolyte La Fontaine and Baldwin when they resigned in 1843. Yet in the following months some feared he might support the succeeding Tory government under pressure from Denis-Benjamin Viger. In the election of 1844 he was defeated in Montmorency County by another moderate, Joseph-Édouard Cauchon*. 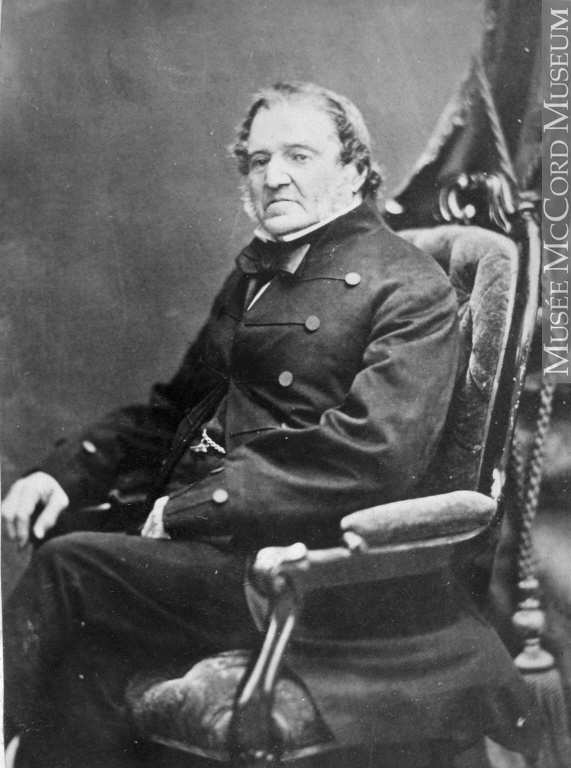 Again, defeat did not end his political activities, for in 1845 Quesnel was appointed to the Royal Institution for the Advancement of Learning. 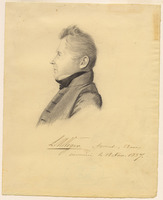 In 1845–46 he was one of the commissioners investigating the Board of Works [see Hamilton Hartley Killaly*]; their report led to a reorganization of the department. His middle-of-the-road position is demonstrated by the fact that Tory leader William Henry Draper* recommended him for appointment to the Legislative Council in 1847, but La Fontaine and Baldwin actually appointed him in September 1848. He remained in the upper house until his death. There Quesnel strongly supported the Rebellion Losses Bill of 1849 and condemned the Annexation Manifesto which followed it. He always believed annexation to the United States would not be an improvement over British rule. In the battle for abolition of seigneurial tenure in 1854 Quesnel, closely connected with the Sulpicians and with the Hôtel-Dieu as tenant and then proprietor of the fief of Saint-Joseph, naturally fought for proper compensation of the seigneurs. Many of his suggestions were incorporated in the final legislation. 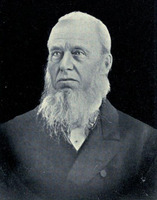 For some years after 1857 he was a trustee on the commission settling the boundary between Canada East and Canada West. Quesnel also had a highly successful business career. He became a director of the Banque du Peuple about 1848 and while he was its president, 1859–65, it knew steady growth and tranquillity. By 1864 he was apparently winding up his holdings, selling a property to William Workman* and Alexandre-Maurice Delisle* for $100,000; the town of Sainte-Cunégonde (later annexed to Montreal) grew up on this land. He had been active in the Saint-Jean-Baptiste society of Montreal, which elected him president in 1860. With powerful features, flowing hair, and mutton-chop whiskers, Quesnel radiates authority from his portrait. He long maintained an extensive establishment on fashionable Rue Saint-Antoine, but his personal life was tragic. In 1813 he had married Marguerite Denaut at Boucherville. She died in 1820 and their two sons and three daughters also predeceased him. Quesnel’s substantial estate largely passed to his nephew Charles-Joseph Coursol*. 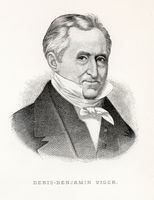 Frédéric-Auguste Quesnel’s political career exemplifies the problems faced by a moderate amid the tensions of the 1830s and 1840s. His later influence points up the often neglected fact that supporters of reform who nevertheless opposed Papineau frequently had successful political careers after the rebellion. Quesnel’s achievements in commerce and finance demonstrate that a French Canadian could make his fortune in business. The respect which Quesnel achieved, and the possibility of old political feuds being forgiven in new circumstances, are evident in the list of mourners at his funeral, which included such diverse personalities as Charles Wilson*, Mayor Henry Starnes*, Jean-Baptiste Prat*, and Quesnel’s sometime ally, sometime opponent, Louis-Joseph Papineau. 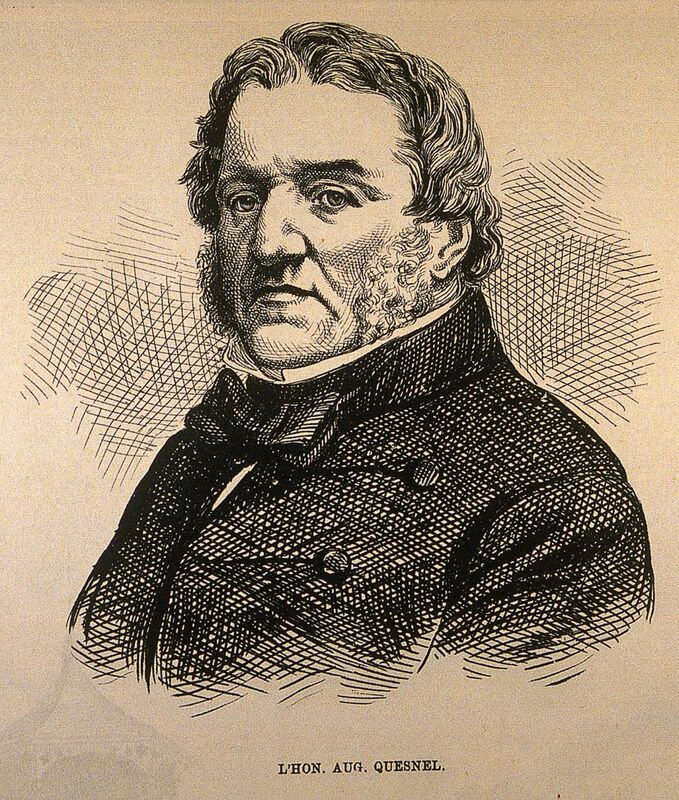 Côme-Séraphin Cherrier, Quesnel’s brother-in-law, prepared a “Biographie de l’honorable F.-A. Quesnel,” which was printed in La Minerve (Montréal), 5 Sept. 1866, and reprinted in L’Écho du cabinet de lecture paroissial, 15 Sept. 1866, in L’Opinion publique, 10 Oct. 1872, and as a pamphlet under the title L’honorable F.-A. Quesnel (Montréal, 1878). PAC, MG 24, B126; RG 68, 1, General index, 1651–1841, pp.9, 225–26, 272, 393; 1841–67, pp.22, 89, 131, 338. F.-J. Audet, Les députés de Montréal, 381–82, 415. Political appointments, 1841–65 (J.-O. Coté), 56, 78, 85. Atherton, Montreal, II, 135, 149, 161. G.-É. Baillargeon, La survivance du régime seigneurial à Montréal; un régime qui ne veut pas mourir ([Montréal], 1968), 38, 45, 84. Chapais, Hist. du Canada, III, 123; IV, 11, 14, 32, 36, 38–39, 188; VI, 104. Cornell, Alignment of political groups, 5, 7, 16. R. S. Greenfield, “La Banque du Peuple, 1835–71, and its failure, 1895” (unpublished ma thesis, McGill University, Montreal, 1968), 1, 8, 33, 67. I.[-A.] Groulx, Histoire du Canada français depuis la découverte (4e éd., 2v., Montréal et Paris, 1960), II, 158. Olivier Maurault, Le collège de Montréal, 1767–1967, Antonio Dansereau, édit. (2e éd., Montréal, 1967), 196, 550. Monet, Last cannon shot, 43, 55, 64, 83–84, 146–47. Rumilly, Hist. de Montréal, II, 199, 203, 226, 257, 368–69. Helen Taft Manning, The revolt of French Canada, 1800–1835: a chapter in the history of the British Commonwealth (Toronto, 1962), 318, 356, 362. F.-J. 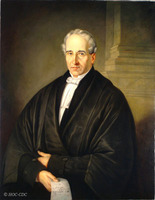 Audet, “L’honorable Frédéric-Auguste Quesnel,” BRH, XXXIII (1927), 399–400. É.-Z. Massicotte, “La famille du poète Quesnel,” BRH, XXIII (1917), 339–42. Frederick H. Armstrong, “QUESNEL, FRÉDÉRIC-AUGUSTE,” in Dictionary of Canadian Biography, vol. 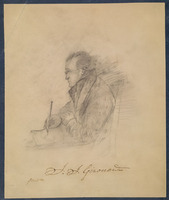 9, University of Toronto/Université Laval, 2003–, accessed April 26, 2019, http://www.biographi.ca/en/bio/quesnel_frederic_auguste_9E.html.